It's simple to install. 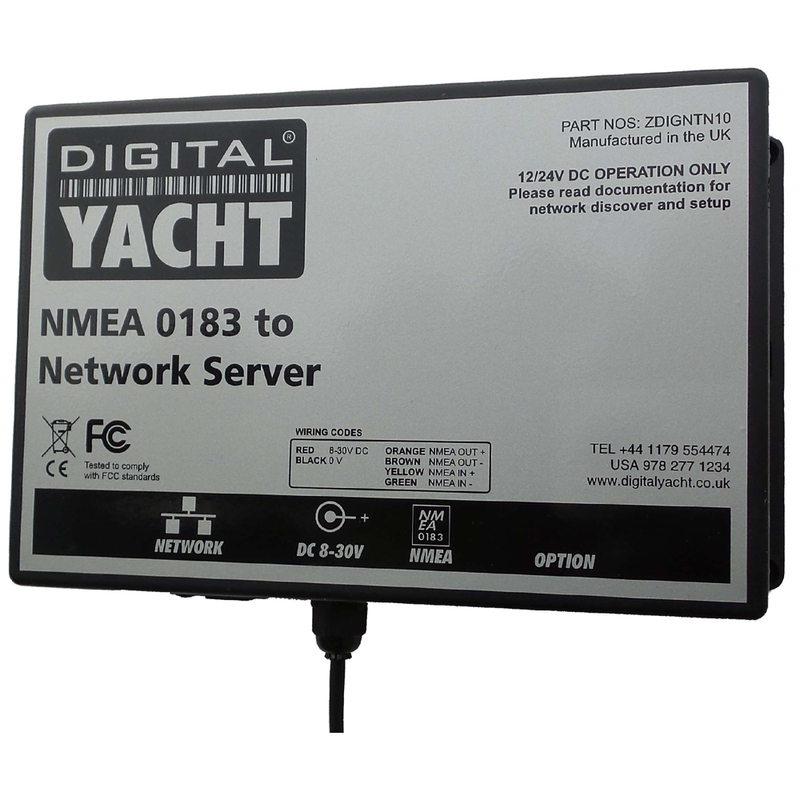 Just connect power and NMEA 0183 data and program using the supplied software for a specific TCP/IP or UDP address to suit your application. It can also be programmed for 4800 or 38400 baud NMEA data. Digital Yacht's NTN10 can be used on board superyachts where Captains and Crew want the benefit of NMEA data for navigation apps like iNavX or NavLink. Connect to the on board AIS and instrument system and realtime NMEA data can be dropped into the existing boat network allowing one log-on for both internet data and NMEA. Crew can now roam freely, connected to the existing boat network, with their favorite app using live data and utilise their tablet or iPad for navigation around the boat. If multiple NMEA streams are required then you can utilise the Digital Yacht MUX100 NMEA multiplexer.